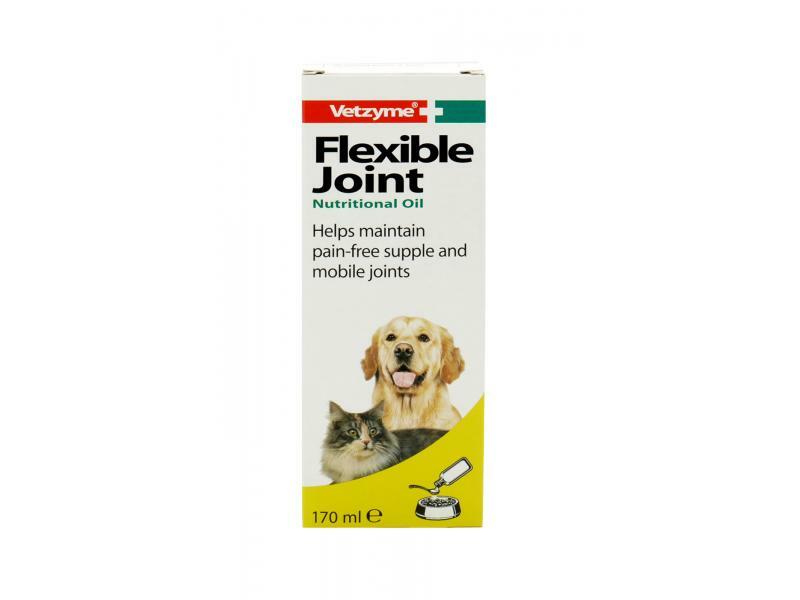 Vetzyme Flexible Joint Nutritional Oil Helps maintain pain-free supple and mobile joints. A daily feed supplement for dogs and cats to help maintain supple joints and promote joint flexibility especially in older dogs and cats and larger breeds. Daily use can help maintain comfort and promote mobility as it contains vitamin D - essential for strong healthy bones. A daily feed supplement for dogs and cats to help encourage supple joints and promote joint flexibility. Ideal for older dogs and cats and for larger breeds which are prone to joint problems. Daily use can help maintain comfort and ease of movement. It also contains vitamin D, essential for strong healthy bones. 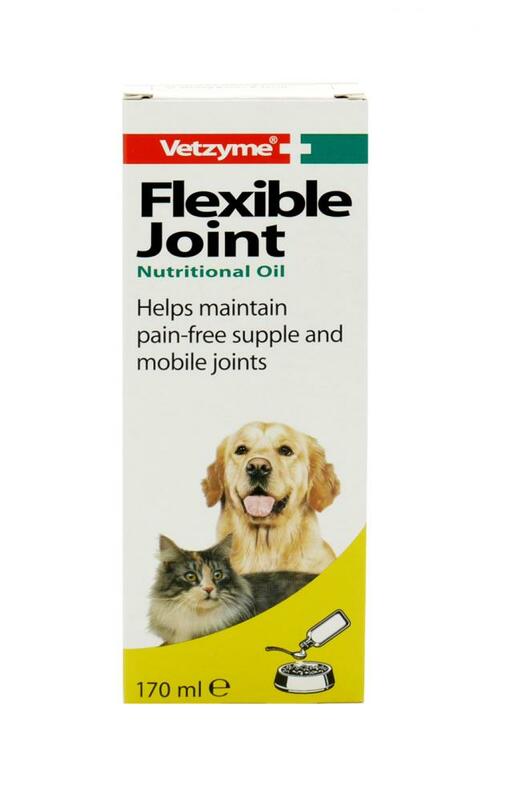 There are currently no questions for Vetzyme Flexible Joint Nutritional Oil for Dogs & Cats - be the first to ask one!